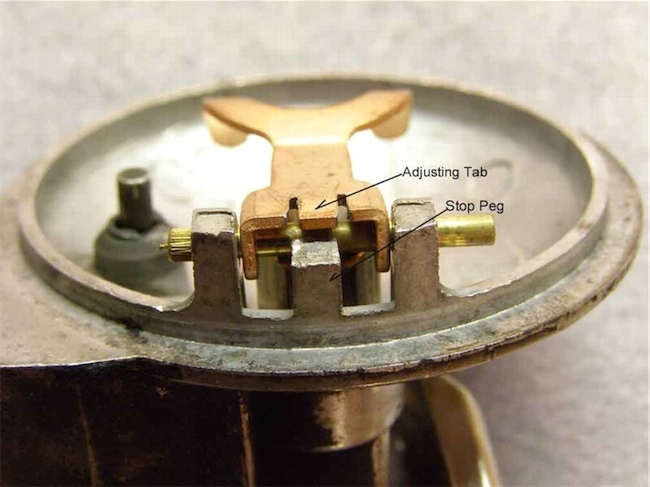 One of the causes of float bowl overflow on SU carburetors fitted to the T-Series MG, MGA and MG Magnette, especially if the car has sat for a long enough period that all of the gas has evaporated out of the float bowl, is the design of the float lever. This is called "excess float drop" in today's lexicon. 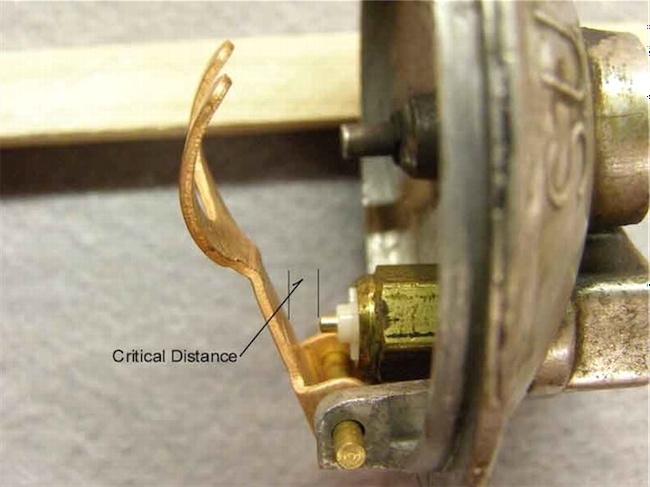 What this means is that if the float (or in the case of the H2 carburetors found in our cars, the float lever) drops too far down, it will trap the needle from the needle valve against the straight section of the fork. This jams everything together, so that the fork cannot raise to push the needle against its seat, and shut off gas flow as in normal operation. (Note: This only happens when needle valves are used to shut off gas flow, regardless of make of the valve. It will not happen when Grose Jets are used in place of a needle valve). The permanent fix for this situation is to cut slots on either side of the straight section of the fork, next to the mounting holes (see accompanying pictures). These slots (some forks come with the slots already cut) form a tab that can be bent down to limit the amount the fork will drop. It should be set to the point where the needle valve will open, but the needle will not become jammed and cause the float bowl to overflow. Comments on "SU Carburetor Float Bowl Overflow Fix"